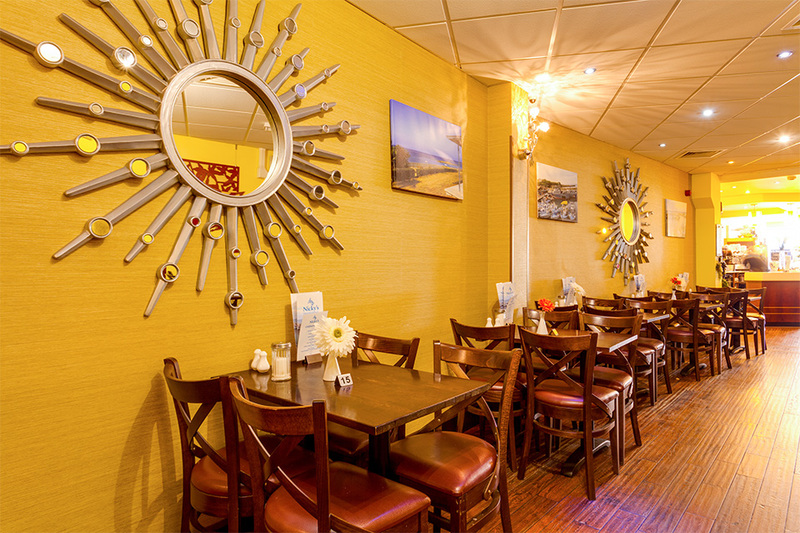 Enjoy a Breakfast Special at Nicky's for £3975, served until noon. Book online for free text confirmation or call 01332 424 359. Treat yourself to a beautifully cooked fish platter for 1, a perfect lunch or dinner for a seafood lover. Book online for free text confirmation or call 01332 424 359. Treat yourself and your other half or guest to a beautifully cooked fish platter for 1, a perfect lunch or dinner for seafood lovers. Book online for free text confirmation or call 01332 424 359. We love Nicky's! 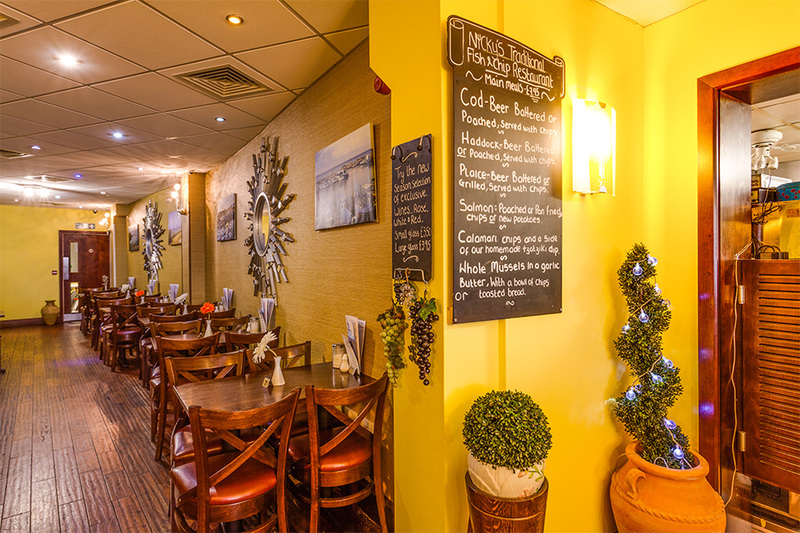 We love the great atmosphere, great menu, reasonably priced and the food is excellent. On this occasion we needed a quick meal before heading to the theatre. It's definitely a place we will be returning to. A most pleasant dining experience! Friendly helpful service and the food was wonderful. From a tantalising menu we opted to share the Greek Mezze Platter at £30, asking for no grain or sugar. The first installment was superb with meatballs and salad and the best squid we'd ever tasted plus some other equally delightful items. The second installment was chicken on skewers with a heap of fabulous chips and a serving of mushrooms. We found this not to be quite as succulent at the previous selection but we were rather full by this time. All in all a most enjoyable lunch out. The place was buzzing with other guests; it's clearly very popular. I had heard a lot about Nicky's Fish Bar but hadn't gone before. When a friend suggested it I figured why not, he said he had been a few months ago and enjoyed it a lot. I had the fish and chips, predictable maybe but they were delicious! My friend had the calamari and chips and was equally impressed. Can't recommend it enough! I love it here! I had the pan-fried chicken breast and my partner had the traditional fish and chips as he'd read that they were lovely. Will definitely be going back! A great evening. Very good food, plenty of it, well presented and everyone enjoyed it. The waiter was excellent, giving great service with added fun banter throughout the evening. We will be returning thats for sure. Lovely greek fish platter, and greek salad to start. Service was hospitable and helped with the prebooked bottle of wine. It was my wifes birthday and we fancied Greek for a change after the cinema and Nicky had decorated the table for us and a group of strangers sang happy birthday to her to make a lovely night. The fish was done to a treat - superb! The starter was fantastic and so was the salad. Too much food and the rest of the mezze was like fish and chip shop style. Came here after shopping at the shopping centre and had lamb kleftiko and an amazing greek dessert called bakleva. My first experience of greek food and its left me wanting more! I go shopping at westfield regularly so it looks like I'll be going to nicky's regularly now! 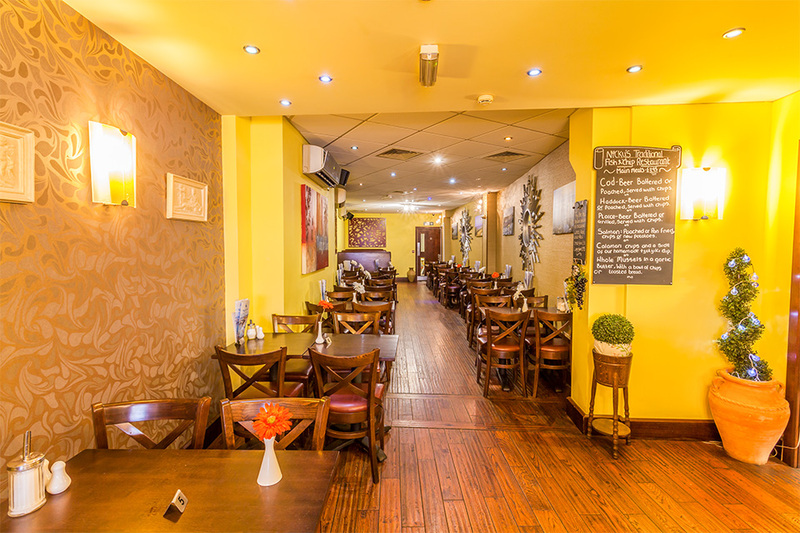 Situated in the heart of Derby city centre, opposite the Westfield shopping centre and just a stone’s throw from the central bus terminals, Nicky’s Fish Bar & Restaurant is the perfect venue to enjoy a post-shopping meal or pre-travelling meal. You can find Nicky’s on the corner of Osmaston and London Road. 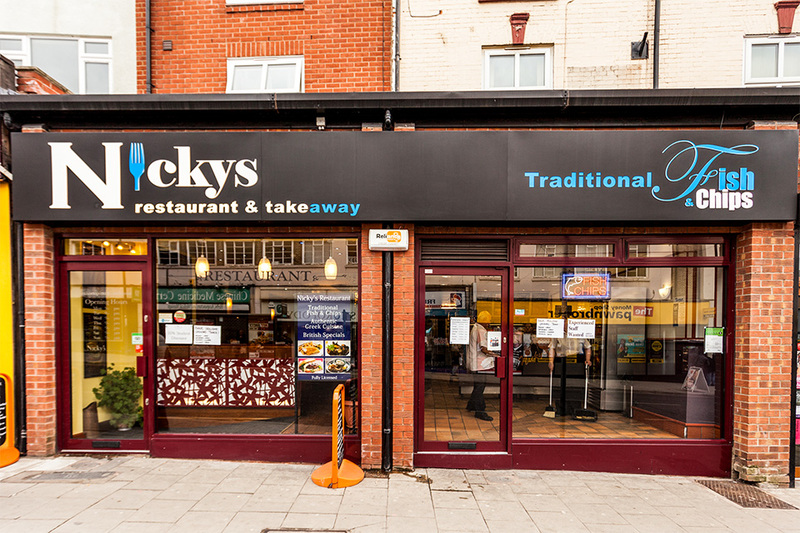 Specialising in Traditional Fish & Chips, Local Specials and also a smattering of Greek cuisine, Nicky’s Fish Bar & Restaurant brings a slice of hearty traditional food offerings to Derby. You can’t help but smile when you enter the restaurant; with a citrus yellow dining room complemented by dark woods and neutral tones, the restaurant is light, bright, airy and a real pleasure to be in. Specially commissioned paintings adorn the walls and the bar area is contemporary, chic, and once again, flooded with light. Unique pendant light fixtures help to blend traditional Greek culture with modern British Traditional fare. 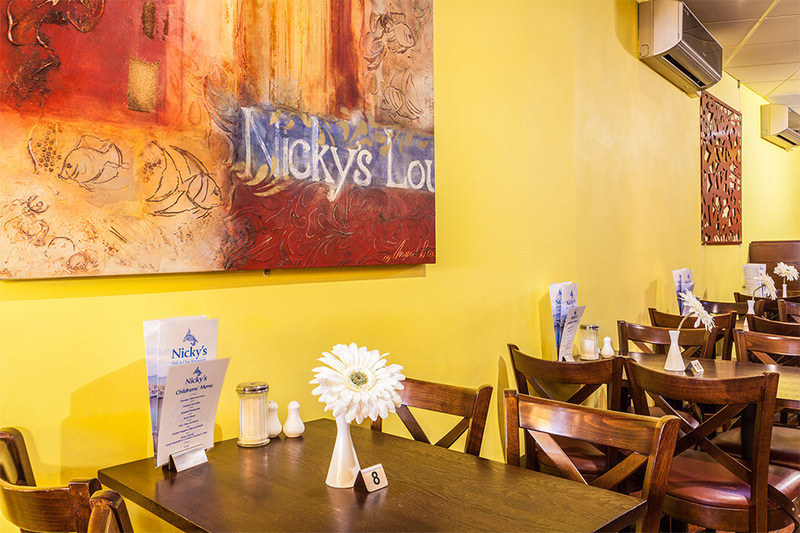 When dining at Nicky’s, you come first. The service is second to none and the staff are attentive without being overbearing. Everyone works together, and works hard, to achieve an incredible standard of hospitality so diners can relax and enjoy the authentic cuisine on offer that only 40 years in the business can give you. Kostas, the Head Chef, has a wealth of experience in cooking Greek and European cuisine and he creates a range of imaginative Greek and mezze dishes using only the very finest of ingredients. Dishes such as Beef Stifado made from a family recipe and served with either chips of delicate, fluffy cous cous, Lamb Kleftiko, and Calamari rings in a light batter with a generous portion of chips, run alongside classic British dishes such as steak and ale pie and the Traditional Fish and Chips that Nicky has been cooking with pride in Derby for many years. There really is something for every taste and you will be delighted whatever you order. 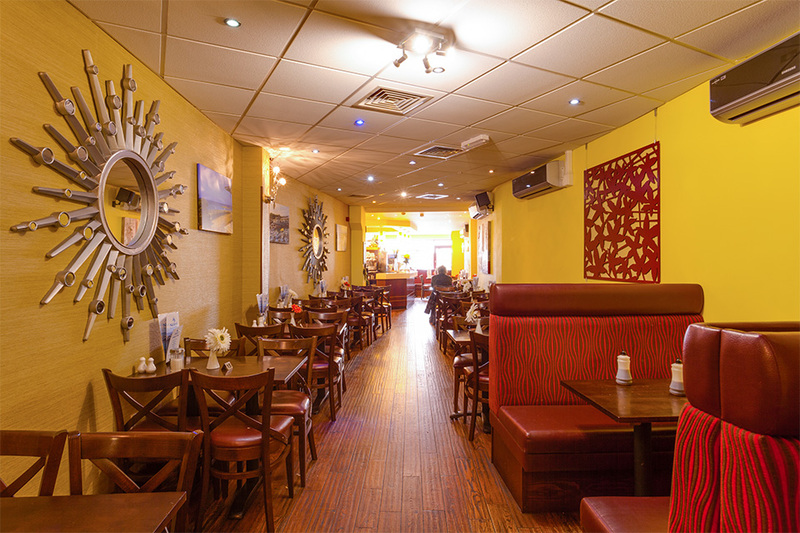 As well as serving delicious food, Nicky’s Fish Bar & Restaurant provides various forms of entertainment on different nights; with one of the most popular events being the live music and belly dancing. These events draw in huge crowds of diners who revel in the music and Greek culture. Those who are feeling brave are encouraged to get up and join in with the dancing. 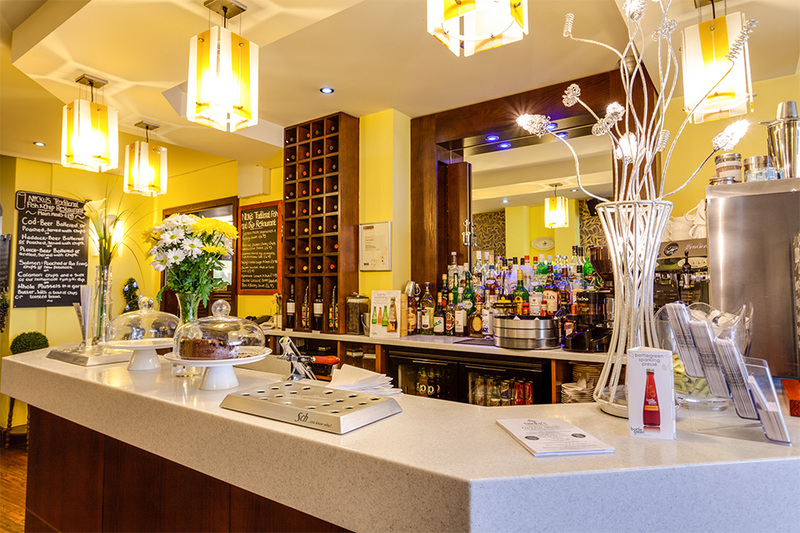 Nicky’s Fish Bar & Restaurant in Derby is a superb venue that is ideal for parties or group gatherings. The lay out of the restaurant also means that it is good for intimate meals for couples and special celebrations. 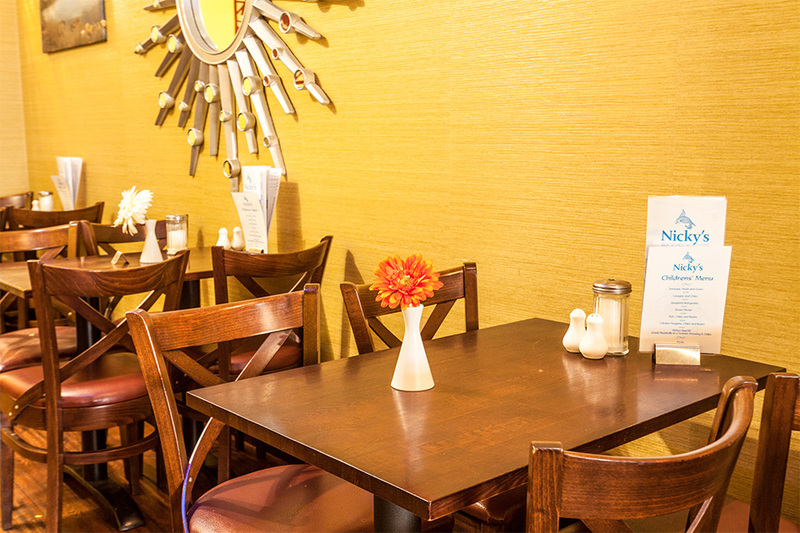 Book a table now to avoid missing out on this vibrant restaurant. 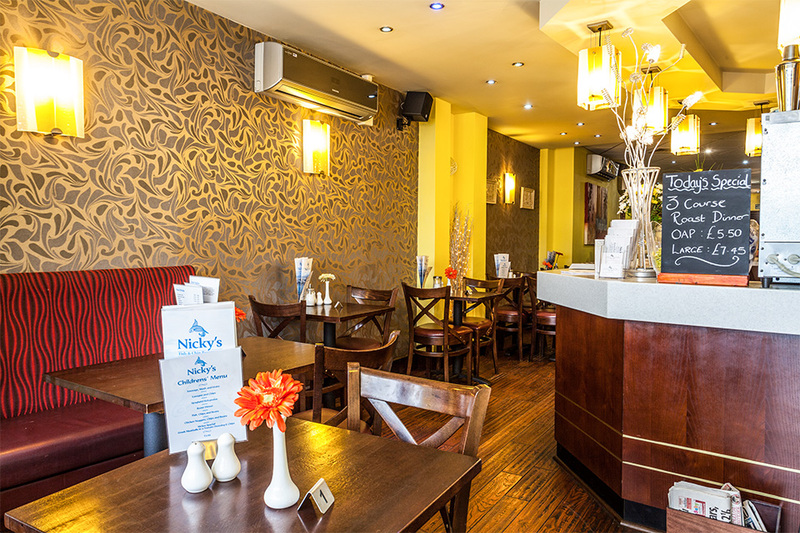 Enjoy a Breakfast Special at Nicky's for £3975, served until noon. Treat yourself to a beautifully cooked fish platter for 1, a perfect lunch or dinner for a seafood lover. Treat yourself and your other half or guest to a beautifully cooked fish platter for 1, a perfect lunch or dinner for seafood lovers.